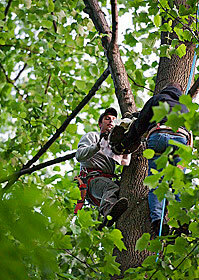 Services - Comprehensive Tree Care, Inc. In addition to Mr. Fried being a Certified Arborist (MA-0081A) with the International Society of Arboriculture, and a Maryland Licensed Tree Expert (#000052), CTC, Inc. is also fully insured with a proven track record of excellence. We do NOT: apply pesticides, mow lawns, or build fences.